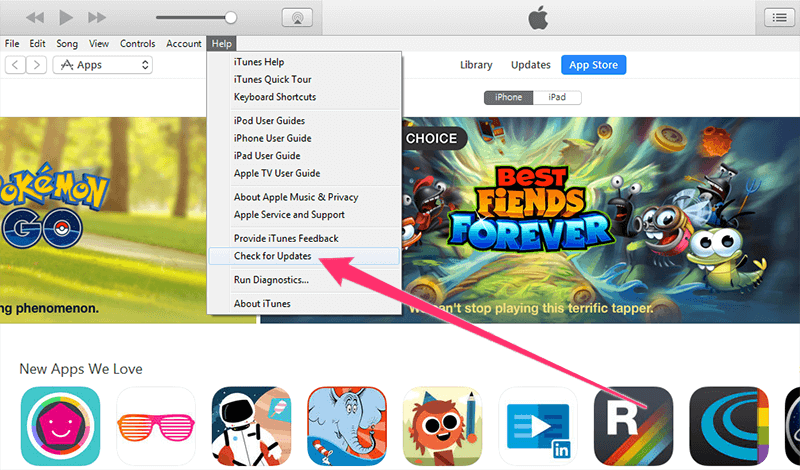 Do you need a solution to fix iTunes error 9 issue? A smartphone is a computing device, and such devices are never perfect hence they are susceptible to error. iTunes Unknown Error 9 is less common in contrast to Error 4014 or iTunes Error 3194 with which the users are more acquainted with, however, even this uncommon error may occur to many users leaving them clueless. This error could be caused by a software bug or hardware issue but mostly shows up only during the upgrade process to a new version of the firmware. Since there’s no pinpointed reason for this error, there’s no accurate fix either. Users need to take few issues into concern and try hit and miss methods to determine what may be wrong, and what fixes for that are available. 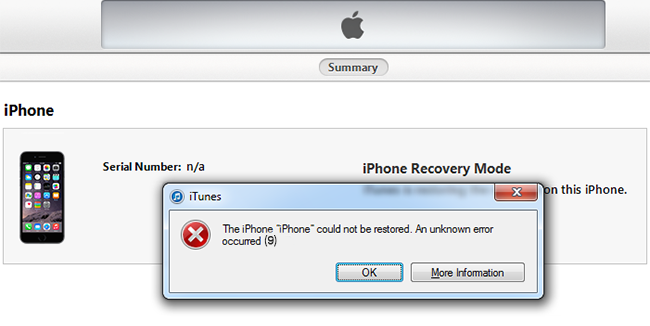 On their website, Apple has stated that the iTunes error 9 (The iPhone “iPhone” could not be restored. An unknown error occurred (9)) is mostly caused by a possible threat of security error to the device. The threat may be triggered by a software bug or some conflict in the connectivity between a hardware and the operating system software. As the scopes of error are pretty wide, this would be difficult to pinpoint. 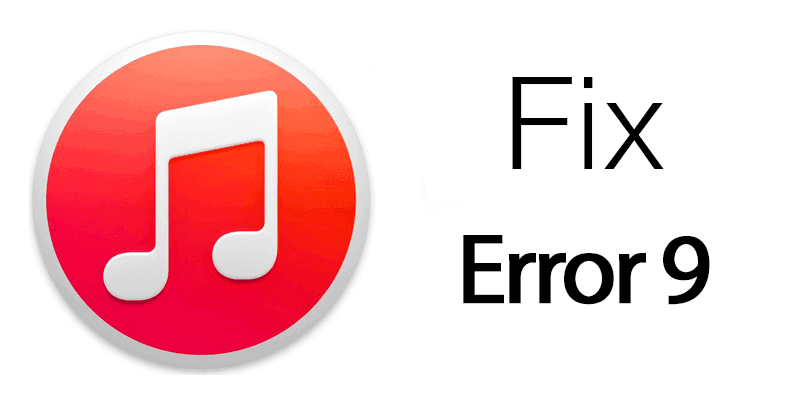 If the user had disconnected the device during a data transfer process accidentally, iTunes might record that occurrence as an error and while attempting to upgrade the firmware, the log may trigger iTunes Error 9. Or it could happen due to a faulty connector. 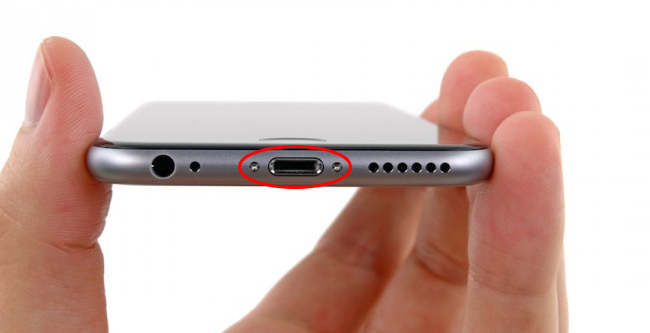 Whatever may be the case, the initial troubleshooting in case of unknown error 9 should be checking the USB connector for breakage or loose connection. Changing USB port while connecting the device to a computer and check the drivers if you use Windows to allow iTunes to recognize your iPhone may also be helpful. Check with a different computer whether you can access your Apple device and sync/transfer data. If a different computer could perform the tasks, possible the error lies underneath your computer system. It could be a piece of faulty hardware, connector, or simply a corrupted registry entry on your computer. Do you use a non-certified USB cable? 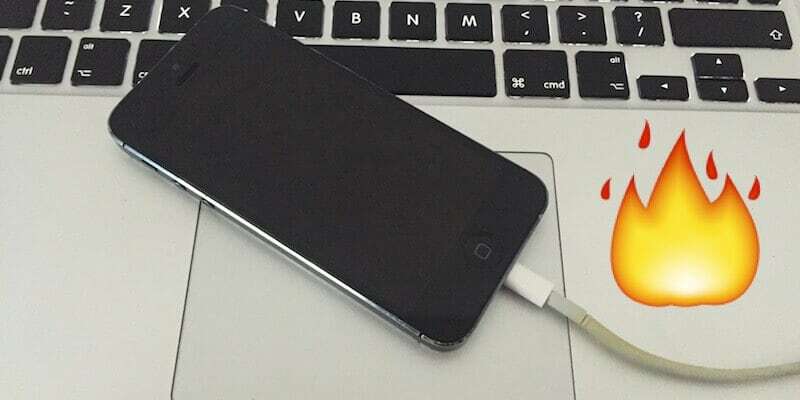 One of the most important things, when you restore your iPhone is to use a certified USB cable to be sure that your phone has a good communication with the computer. Since there’s security involved with Unknown Error 9 in iTunes, checking the security programs installed on a computer could be wise. iTunes needs to access various network servers for purposes like syncing and upgrading and these network directories may be blacklisted into a firewall program without the user knowing. Or, in very rare cases an antivirus could mark iTunes as a malicious program. Check for such issues with every security software installed on a computer. Even though iTunes restore error 9 isn’t associated with backdated software, there could be version conflicts underneath. Upgrade iTunes, computer OS, and antivirus & firewall programs to the latest version available for your machine. Check the release notes in case any suspicion regarding bugs arises. In some cases, the faulty battery is the reason for getting iTunes error 9 (the same problem for error 29). Try to change the battery with a new working one and do an iTunes restore. Make sure you wait for 10-15 minutes before you connect the new battery. Update #1: Some users reported that the error 9 can be fixed by downloading the official latest firmware from Apple, and use the Shift + Update option to restore the device. Conclusion: Basically, resolve any problem that might cause a problem between any sort of connectivity – between your computer and the Apple servers, your computer and the Apple device etc. That should fix the iTunes error 9 issue with your device.